I have discovered a new trend I never thought existed. I had always thought couples accepted that arguments are key in relationships to help them develop mutual strategies to resolve conflict, however my recent surveys have shown that some couples do not believe there should be any room for arguments. 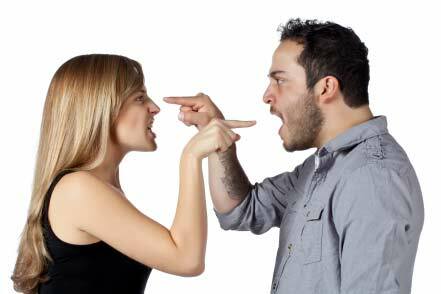 In some cases, one partner believes arguments are part of everyday life while the other believes they create unnecessary friction and may hurt the good flow of the relationship. I was rather surprised to discover this; I thought every couple had their arguments, forgot about them and moved on. Turns out it’s not as easy as it sounds. When a new relationship begins, many couples don’t envisage they’d ever fight. They ride the wave of romance so well, they believe no turbulence will ever come their way. Well, imagine what a rude awakening it is when the first fight happens and they start to feel like their partner is not the perfect loving angel they thought. How does one switch from being super loving to being super angry? How do you, or how should you resolve big arguments? Some people are the best people to argue with; they end things with a joke, laugh at indirect insults and add a touch of sarcasm that sets everyone rolling on the floor with laughter. People like these may not take certain arguments seriously, and may even end up making a joke out of serious situations. On the other hand, some people like to win! They want to win every argument even if it is about whether omelettes taste good with sardines or not. These people are rather exhausting to be around, struggle to listen to other people, and always try to enforce their opinions on others. Doesn’t sound like fun arguing with them does it? Having discovered these two extremes, I have come across a third set of people- those who argue fairly, like to talk things out, and are willing to let both parties agree to disagree. Of course everyone wants a partner like that! My answer to the big question is I don’t know. It is almost impossible to have a relationship without arguments but it can be done (that’s a topic for another day). What I do know is that when it comes to the first argument, I often advice people to employ one of two strategies – understanding plus tolerance or understanding plus avoidance. I’m sure you’re not battling to understand the first strategy but avoidance? huh? what’s that about? Many people have the impression that they MUST discuss every single issue with their partner, get their point across and well-understood, and come to a mutual conclusion. That is not likely to happen in every situation, and before you know it, your relationship will be more like a marriage counselling session that just won’t end even though you get the point. Avoidance is a skill, a strategy, a helpful tool everyone should learn if they intend to have relationships that will stand the test of time. I am not asking you to overlook major issues, but learn to overlook the small or inconsequential issues. Try to avoid beating the dead horses of events that cannot be reversed, the “I told you so” moments and the “you can’t function without me” debates. Rather learn to recognize your partner’s style of arguing and try to employ the right strategy to handle situations- avoidance or tolerance, but understanding should be a key factor either way. Next Next post: Kick him To The Curb!